Hi, I'm Keshav, and my life is screwed. I hate my job and my girlfriend left me. Ah, the beautiful Zara. Zara is from Kashmir. She is a Muslim. And did I tell you my family is a bit, well, traditional? Anyway, leave that. Zara and I broke up four years ago. She moved on. I didn't. I drank every night to forget her, I called, I messaged, and stalked her on social media. She just ignored me. However, that night, on the eve of her birthday, Zara messaged me. 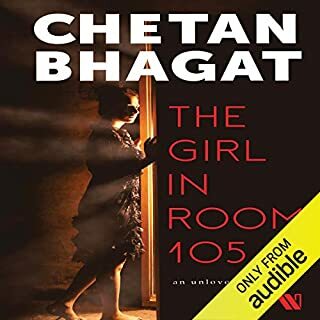 She called me over, like old times, to her hostel room 105. Karan Johar is synonymous with success, panache, quick wit, and outspokenness, which sometimes inadvertently creates controversy and makes headlines. KJo, as he is popularly called, has been a much-loved Bollywood film director, producer, actor, and discoverer of new talent. But who is the man behind the icon we all know? 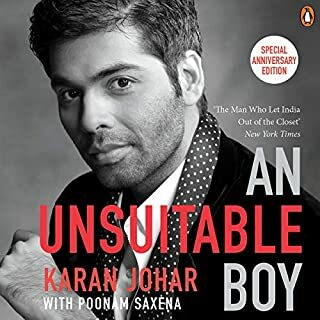 Honest, heart-warming and insightful, An Unsuitable Boy is both the story of the life of an exceptional filmmaker at the peak of his powers and of an equally extraordinary human being who shows you how to survive and succeed in life. Do you ever get the feeling that girls have it less easy than boys? 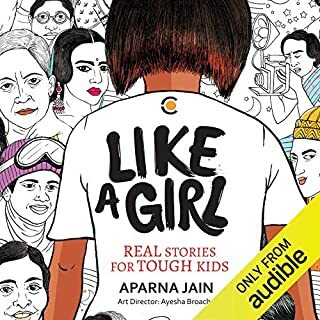 Have you been told to behave 'like a girl’? That you should learn to cook and be nice and keep your legs crossed? Well, here are the stories of 56 women who broke the rules to forge new paths for themselves and others. Adventurous and ambitious, they fought battles and legal cases. They won elections and matches. They climbed mountains and mastered science. Best of all, they never stopped chasing their dreams. A new job beckons Shanaya to Bangalore. Her bags are packed, and she is all set for the new life. But she wants to pamper herself and enjoy, coz it’s her last day in Delhi, where she has spent some really good times. She is out exploring when she bumps into a stranger; he sweeps her off her feet with his magnetic charm, way with words and a well-chiseled body. What’s the harm of having a good time, she wonders! After all, she’d be gone the next day - no strings attached. While she gets adventurous, she barely knows what life is planning to throw at her. 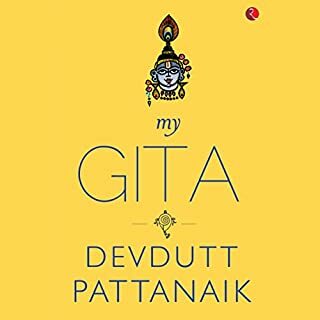 In My Gita, acclaimed mythologist Devdutt Pattanaik demystifies The Bhagavad Gita for the contemporary reader. His unique approach - thematic rather than verse by verse - makes the ancient treatise eminently accessible. 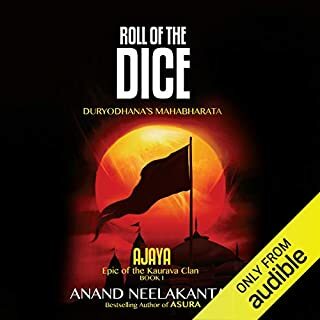 In a world that seems spellbound by argument over dialogue, vi-vaad over sam-vaad, Devdutt highlights how Krishna nudges Arjuna to understand rather than judge his relationships. 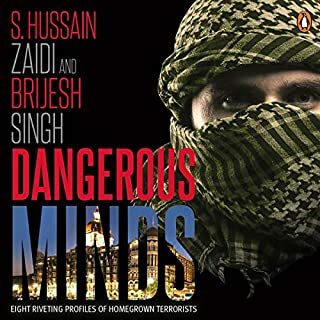 Dangerous Minds will delve into the complex and intricate lives of some of the most talked-about terrorists of the country. 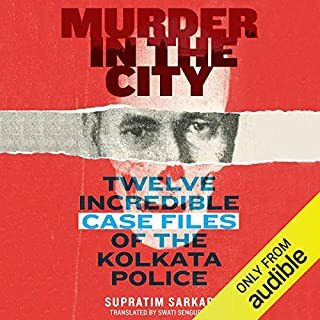 The audiobook will explore the lives, early beginnings, careers, and sudden transformations of such people into merchants of death. At the heart of India’s most powerful empire, a revolution is brewing. Bhishma, the noble patriarch of Hastinapura, is struggling to maintain the unity of his empire. On the throne sits Dhritarashtra, the blind King, and his foreign-born Queen - Gandhari. In the shadow of the throne stands Kunti, the Dowager-Queen, burning with ambition to see her firstborn become the ruler, acknowledged by all. 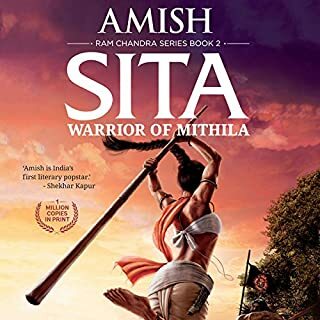 And in the wings: Parashurama, the enigmatic Guru of the powerful Southern Confederate, bides his time to take over and impose his will from mountains to ocean. The dark age of Kali is rising, and every man and woman must choose between duty and conscience, honour and shame, life and death.... The Pandavas, banished to the forest following the disastrous games of dice, return to Hastinapura. Draupadi has vowed not to bind her hair till she washes it in the blood of the Kauravas. Karna must choose between loyalty and gratitude, friend and Guru. 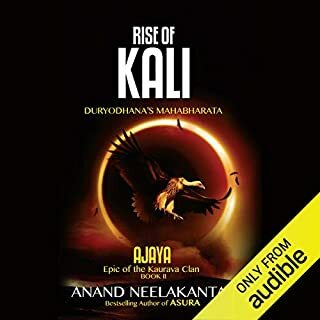 Aswathama undertakes a perilous mission to the mountains of Gandhara, in search of the Evil One. Kunti must decide between her firstborn and her other sons. Shake your beliefs to the core. On 8 November, when the clock strikes 8, your money will be no good. Somewhere on the India-Nepal border, a car full of passengers swerves off a highway and plunges into a valley, its trunk full of cash. In the UK, a Bollywood starlet wins Big Survivor, the most popular reality TV show in the country. In Panama, Central America, a whistle-blower at a law firm brings down billionaires across the globe. And in India, a new RBI Governor is appointed. Aditya Kesavan is dynamic, charismatic and ambitious. He's about to carry out the most brazen act of his life. 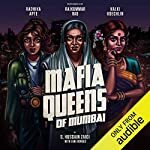 From victims to victims to victors, this collection of stories contains intricate details of 13 women who went on to leave their permanent mark on the face of the Mumbai Mafiosi. ©2011 S. Hussain Zaidi, Jane Borges (P)2018 Audible, Inc.
A wonderful journey into the Mafia world of Mumbai, introducing the Ladies who made it big in the men's world. 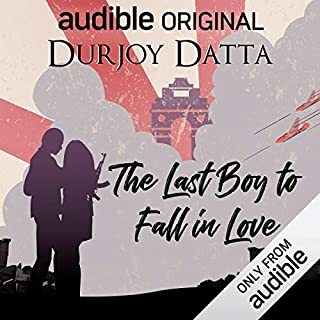 The narrators did an amazing job of bringing the emotions behind the story and mesmerising from the beginning to the end. 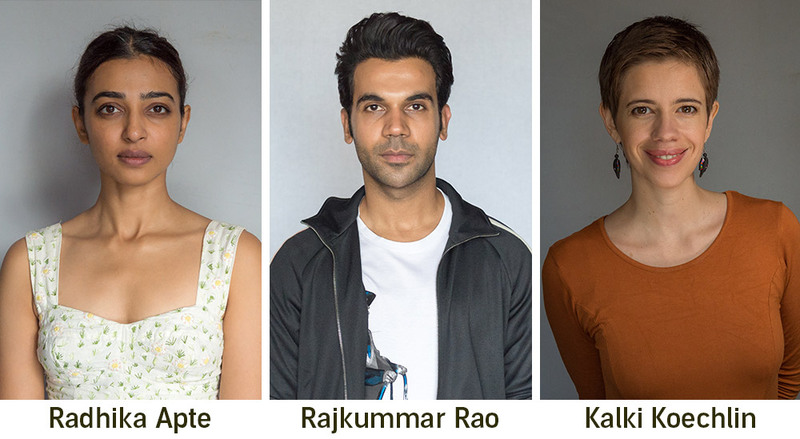 Kalki stands tall above all else !! They are big drug peddler / prostitution ring leaders, but these stories don't portray them as heroes. Instead, it provides their back stories and provides us with a human side to their otherwise notorious nature. 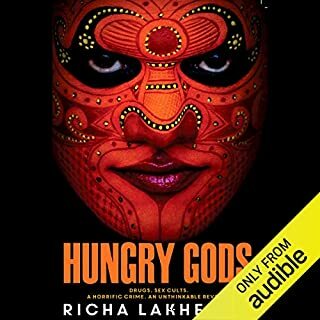 Kalki shines as a narrator with her smooth voice and Radhika shows us that her emotions are well portrayed through voice. 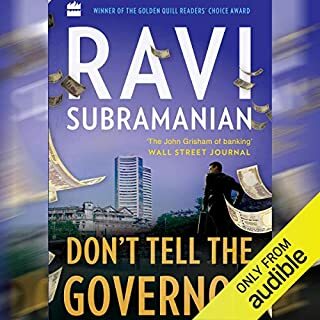 Really this is great audio book! 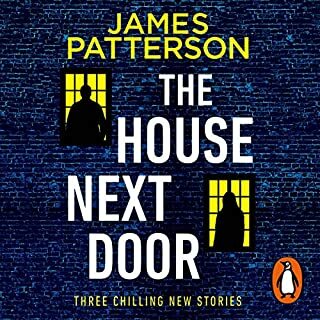 Great narration. Powerful story telling. 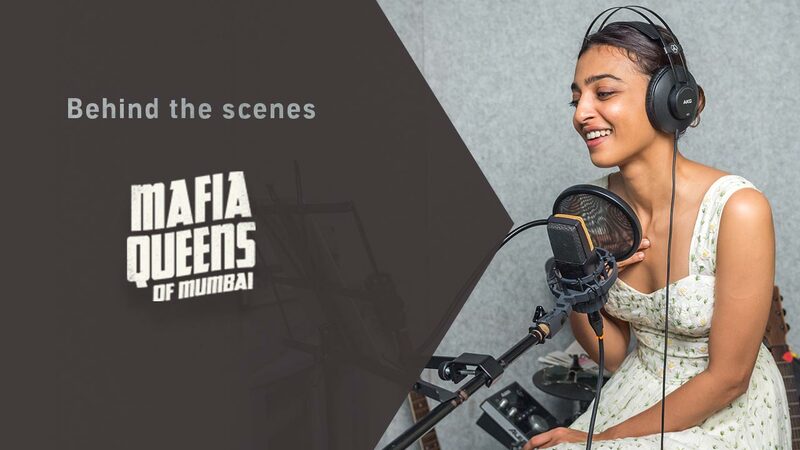 Getting to know about the badass women of Mumbai was a eye opener and informatory about the numerous controversial headlines in the years. Great work by the authors. 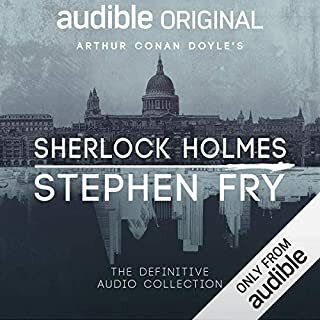 It was a great compilation and the narration and the music made it interesting to listen. The stories appears to be true in facts, nicely covered with time references and names. 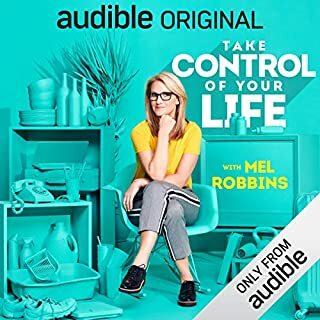 The naration is excellent and keeps you interested in listening. Good as starter.. This was my first audible. 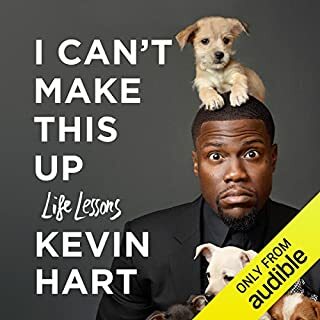 Only two chapters are good and rest are like information dump. 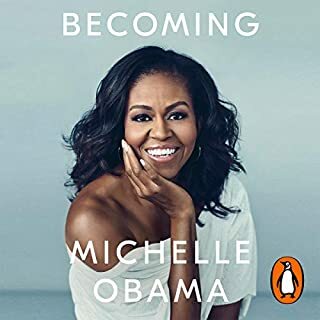 I would recommend to listen this instead of reading as it might not keep ever reader hooked thought out.